There has been an art challenge making its way around facebook. You get nominated, you post 3 images of your work each day for 5 days, and each day you nominate someone else. 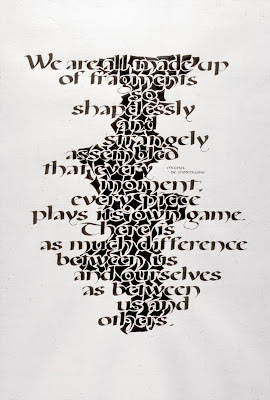 I was nominated by Trish Johnston and took the opportunity to look back at my work over the years starting with calligraphy. I found it instructive and enjoyable. I thought I'd also share it here on the blog. I'll be posting Day 1 today and continue with the rest for the next 4 Saturdays. That will bring us into spring! 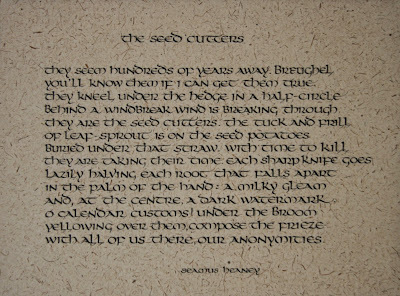 I'm starting with some calligraphic work from the early 1980s. 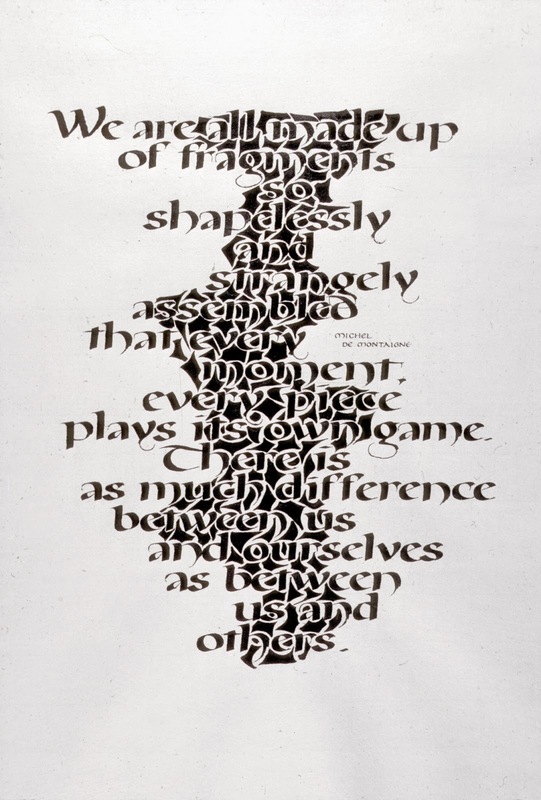 My initial attraction to calligraphy was as a way to interact with words I loved without the analysis that had been required as an English Lit major. 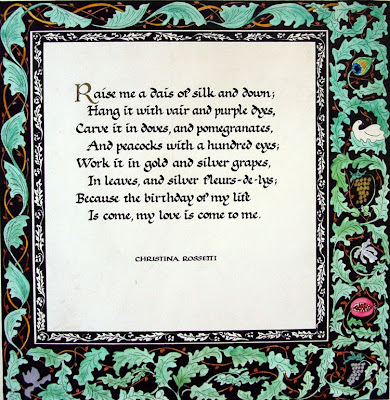 Work here is 1) Michel de Montaigne 2) Christina Rossetti (with border lifted from William Morris) 3) Seamus Heaney. 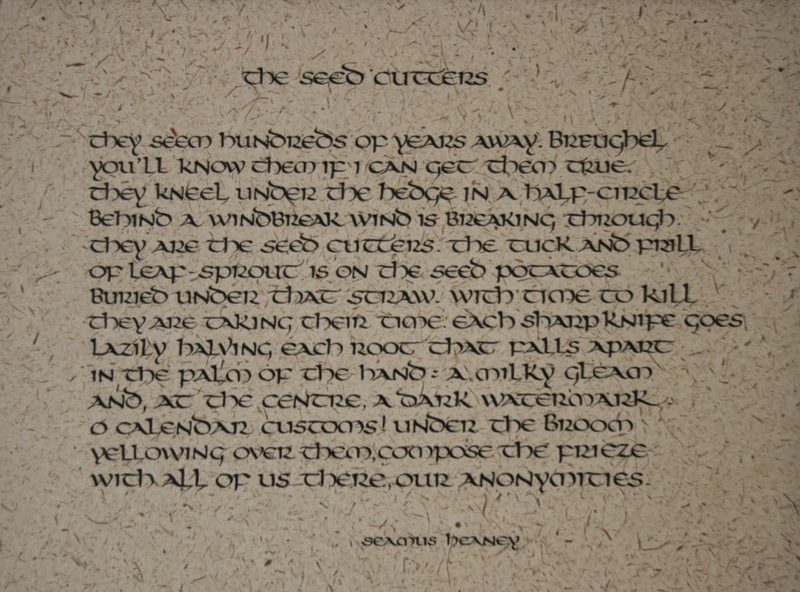 The Heaney piece was one of the few I did with ink ground from an ink stick. 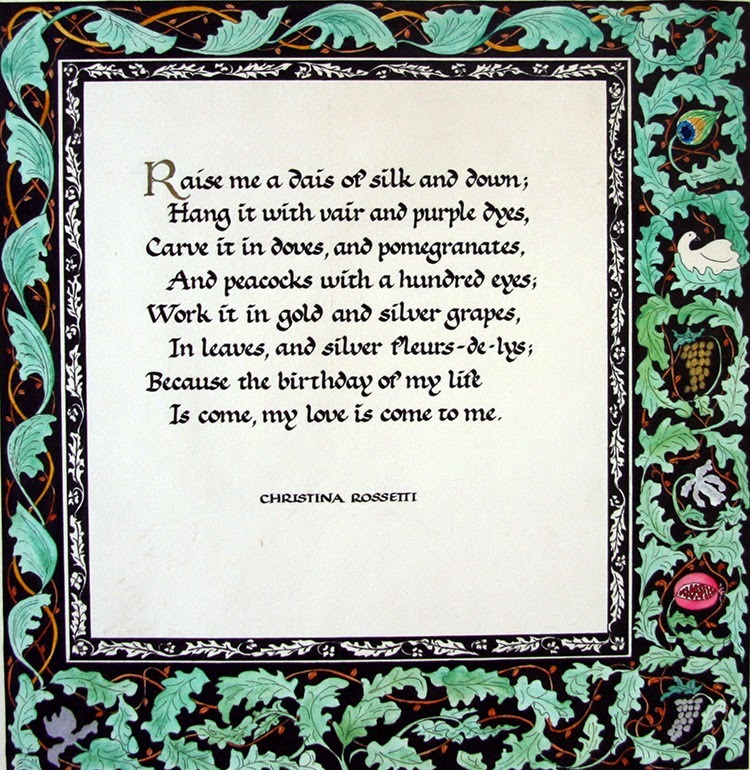 Mostly I like the immediacy of ink from a bottle.